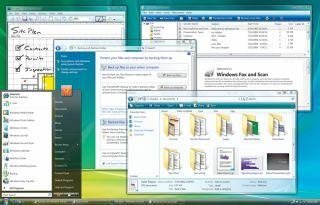 If you are running a pirated copy of Windows, or some other software on your PC, then you're not the only one. More than a third (35 per cent) of PCs worldwide are running pirated software, according to a report by the Business Software Alliance (BSA) and analyst firm IDC . As a result, software companies are losing $40 billion (£20 billion) in revenue every year. The report looked at how many PCs and software programs were sold last year. Open-source applications were also included in the study, classified as legal, paid-for software. The BSA and IDC have studied the number of software applications that are found on the average PC as well. "We know, for instance, that new PCs going to consumers in the US generally have eight pieces of software, four of which are free like Adobe Reader and the other four should be paid for," said John Gatz, chief research officer at IDC. "So if you know how many pieces of hardware have software and how many pieces of software were paid for, the difference is the pirate," Gatz said. Worldwide, 35 per cent of PCs run at least one pirated software program, according to the report. This figure is up by 15 per cent compared to 2005. China and Russia top the league as the countries with the worst records of pirated software. In China, 82 per cent of software applications are pirated; Russia follows closely with 80 per cent. The USA has the least amount of pirated software, at 21 per cent. The report found that for every $2 (£1) spent on legitimate software, $1's worth (50p) was obtained illegally. The UK economy lost nearly $1.7 billion (£850 million) to piracy in 2006, the BSA said. "Counterfeit software can expose consumers and businesses to spyware, viruses, faulty code and identity theft," said Michala Alexander, head of anti-piracy at Microsoft UK . She stressed that efforts to reduce pirated software must be increased.